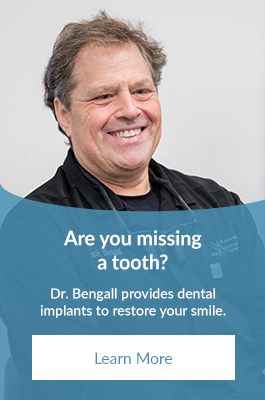 At Expressions Dental Care, we provide our Richmond Hill patients with one-appointment dental crowns! A dental crown is a restoration that covers a tooth to restore it to its normal shape and size, strengthening and improving the appearance of the tooth. Dental crowns are made of metal, porcelain fused to metal substrates, or new all-white restorative materials. A dental crown is necessary when a tooth is generally broken down and a filling won't correct the problem. When a tooth is cracked, a crown holds the tooth together to seal the cracks, so the damage doesn't get worse. Dental crowns are also used to restore fractured teeth, cover badly shaped or discoloured teeth, to attach a bridge, support a large filling when there isn't enough of the tooth remaining, or protect a root-canal filled tooth with compromised strength. CEREC ceramic restorations are restorations that are accomplished using CAD/CAM (computer assisted device/computer assisted manufacture) technology. This type of technology is beneficial to the patient as it requires only one appointment to complete the treatment. This means, you only need to receive dental freezing once and no messy dental impressions are necessary. Yes. The dentist's main goal is to create crowns that look like natural teeth. That is why the dentist will take an impression. To achieve a certain look, a number of factors are considered, such as the colour, bite, shape, and length of your natural teeth. Any one of these factors alone can affect your appearance. If there is a specific aesthetic look in mind for your crown, please discuss it with the dentist at your initial visit. Dental crowns may last approximately 5 to 8 years. However, with good oral hygiene and supervision, most crowns may last for a much longer period of time. Some damaging habits like grinding your teeth, chewing ice, or even fingernail biting, may cause this period of time to decrease significantly. To prevent damaging the dental crown, please avoid chewing ice, hard foods or objects, and grinding your teeth. Besides visiting your dentist and brushing twice a day, cleaning between your teeth is crucial. Floss or interdental cleaners (specially shaped brushes and sticks) are important tools to remove plaque from the crown area where the gum meets the tooth. Plaque in that area can cause dental decay and gum disease. Regularly scheduled examinations and hygiene appointments must be adhered to, or the same bacterial assault which causes decay and makes dental care necessary, may cause the restorations to fail.